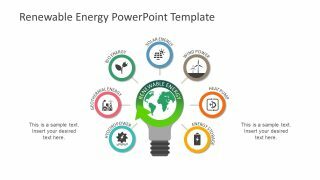 The Renewable Energy PowerPoint Template is a two-slide layout presenting natural power resources. 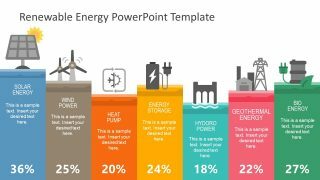 It displays major renewable energy types through infographic clipart icons. The diagram contains amazing graphics for each renewable energy type. This assists the audience to immediately picture the concept and link the terms to related images. 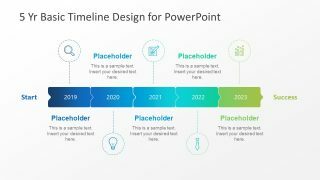 The visual presentation enables the audience to remember graphical content longer compare to traditional bullet list format. 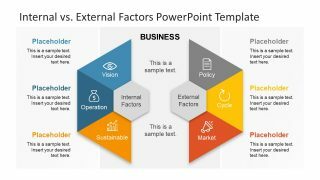 Both slides present seven renewable energy types in two layout designs. These include, vertical bars creating a look of histogram and lightbulb template with 7 segments around it. 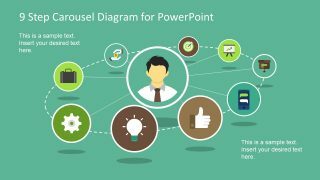 Further, this template provides a range of infographic icons to use for relevant presentations. The users can resize these icons without affecting the image quality. 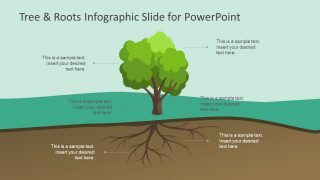 The PowerPoint template of renewable resources is ideal for ecological presentation topics. The renewable energy is a rapidly growing industry for last two decays. Since every county can rely on energy through these natural resources. The template to these power resources can benefit the professionals in the electricity generation industries to propose development ideas.